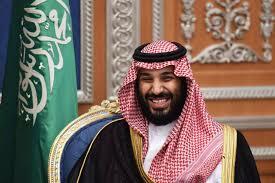 designtocaredaily: Is Saudi Crown Prince Mohammed bin Salman the Reformer? Is Saudi Crown Prince Mohammed bin Salman the Reformer? 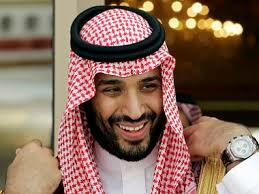 He is known to many simply by his initials, MBS, the 32-year-old was given expansive new powers by his father just nine months ago and arrives Tuesday in Washington, D.C. for a summit with President Trump in the midst of a major push to modernize his conservative Islamic Kingdom. Bin Salman has already instituted a series of surprising reforms to make the Muslim country -- known for its bearded religious police enforcing strict social codes -- more open and accepting of Western norms. Last fall, the Kingdom agreed for the first time to allow women to drive. After 35 years, movie theatres will open again (they were shut in the 1980s during a wave of ultra-conservatism). In a break with the rigid guardianship that’s defined the kingdom for decades, it was recently announced that women can launch their own businesses without consent from a husband or male relative. And a prohibition on women attending sporting events in national stadiums was lifted. Although Saudi women have been dictated by custom and the religious police to wear the abaya, a full-length black cloak that covers everything except their hands and face in public, bin Salman pushed back against that idea during the interview. In another sign of liberalization, Saudi Arabia will issue its first tourist visas later this year to attract money from overseas visitors. Under bin Salman’s ‘Vision 2030’ initiative, the Kingdom wants to have 30 million visitors per year by 2030 and it wants annual tourism spending to hit $47 billion by 2020. And the crown prince, who has preached fiscal discipline for his country but faced criticism for his own spending, including purchasing a $450 million Leonard da Vinci painting of Jesus Christ, defended his lavish lifestyle. So far, reaction to the changes involving women has been greeted with cautious optimism, especially among the country's under-30 crowd, which makes up about two-thirds of Saudi Arabia's population. In recent years, Shogair and her female friend told the publication, there were few options for entertainment for women and they would often be hassled by the religious police despite already dressing modestly. Now, they make weekend plans to go out and they both plan to get driver's licenses in June when the government officially begins issuing them to women. "I really feel the end of the driving ban means Saudi women are about to get more and more rights and do so many things we weren’t able to do before," Habiba, 20, told New York magazine. "Lifting the ban will help women save money too, because they won’t have to spend so much on taxis or on the salaries of private drivers." Although the Saudi domestic reforms are likely to win praise from the U.S., other Western countries and advocates for gender equality, they won't be enough on their own to revamp and diversify the country's oil-dependent economy. The modernization push is ongoing and will no doubt be a topic of the crown prince's conversation with Trump on Tuesday.